Hi, I’m Smurf! 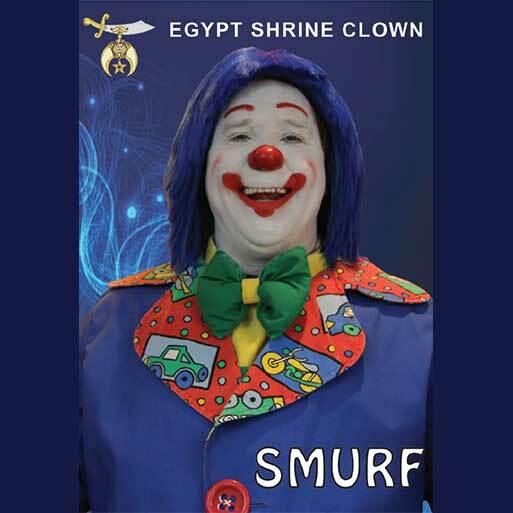 John Cornett joined the Egypt Shrines Clown unit “Fun n Frolic” in 2004 and quickly turned a nickname into “Smurf” the Shrine Clown. Smurf began training to become a clown at the Northeast Clown Institute in Plymouth MA, where he became a Master Clown and is currently a Board member of NECI. Smurf has enjoyed years of clowning for Children throughout the US, and hopefully Mexico and Canada in the future. He has been the President and Boss Clown of Fun n Frolic, the Present of the Florida Shrine Clown Association and won many awards through the years. Smurf lives as he clowns; if it’s not fun, don’t do it!